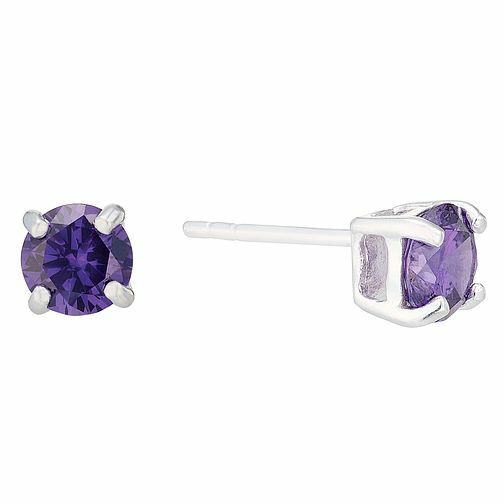 Add a pop of colour to your look with these pretty purple cubic zirconia stud earrings in a smooth sterling silver setting. Perfect for everyday chic. Sterling Silver Purple Cubic Zirconia Stud Earrings is rated 5.0 out of 5 by 1. Rated 5 out of 5 by Anonymous from Perfect! I wear a lot of purple & thought that these would match, which they do. I'm very pleased with them.